No. 4 North gave top-seeded Riverside all it could handle before the Beavers pulled out a five-set win in the Division I Euclid District semifinals on Tuesday. Riverside won 20-25, 25-19, 21-25, 25-9, 15-11 and advanced to Saturday’s district championship match against Mentor. The Rangers closed out the season with a 17-8 record. They lost to Riverside in four sets twice during the regular season. North saved its best for when it counted most. 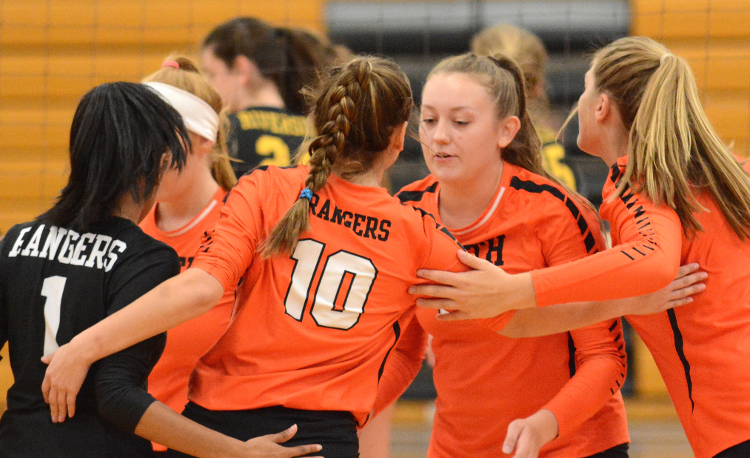 Jill Borthwick led North with 20 kills and 19 digs and Lindsey Mausser contributed with 13 kills, six digs and four blocks and Dhvani Patel pitched in with 22 digs.